Radon testing is becoming more and more common as a part of the home inspection process, and especially here in Colorado. Regardless of the results of your radon testing, don't let it interfere with the purchase or sale of your home! Radon problems can be mitigated relatively inexpensively, and buyers can rest assured that they will not have radon issues once a mitigation system has been installed. Either way, Radon issues can be resolved - so don't panic! Radon is a gas that seeps into homes from the soil, and it originates from Uranium present in the soil. Basements are notorious for radon gas problems, and our soil in the Denver Metro area is known to have high levels of Uranium (depending on the area). Radon has been linked to lung cancer, and is very dangerous in high doses. Long term exposure is the main concern, so homebuyers are wise to screen for radon gas issues in homes before they buy! YES! Radon problems are easily corrected by installing a Radon Mitigation system. These start at around $800, and should be installed by EPA certified companies. Here in Colorado, Air Quality Control, Inc. is a great option. They guarantee that radon levels will stay in safe ranges following the installation of their system, and even provide a follow up 're-test' of radon levels following the system installation. These systems can typically be installed in a day - and new test results can show reduced radon levels as quickly as 4-5 days following installation. 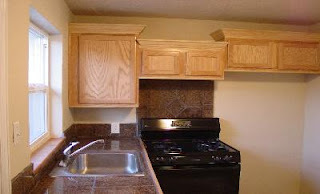 Congratulations to client Sean R. who picked up this condo for a steal near Sloan's Lake! 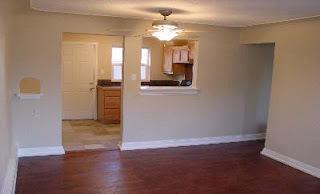 2bd, 1ba condo with granite kitchen, private yard and 2 car garage! Are you looking for a home or investment opportunity? Let me help you find yours - contact me anytime!